Click here for a PDF version of the guide. As a TEALS volunteer, you’ll serve as part of a team led by a partner classroom teacher. You’ll work directly with students in a CS class, and you’ll help prepare a classroom teacher to teach Intro to Computer Science, AP CS A (Java Programming), or an AP CS Principles course on their own. TEALS supports schools using three different models, co-teaching, lab support, and classroom enrichment. The Lab Support Model is designed to help teachers with experience leading CS lessons on their own that still need in-class support. Volunteers help experienced CS teachers add industry exposure, build excitement for CS at their school, and provide a safety net for teachers that are still learning the material. While not as time intensive as the Co-Teaching model, this role is still a significant time commitment. The Classroom Enrichment Model is designed to be a resource for teachers confident in running their own CS classes, but would like the help of an industry volunteer to brainstorm new lesson ideas, guest speak, occasionally visit the classroom, and ask questions around new technologies. Volunteer support ranges from assisting with labs and assignments 2-4 times a week to consulting visits with the teacher or class 1-2 times a month. A representative example of a year-long TEALS commitment of 280 hours as a volunteer in the TEALS co-teaching model. 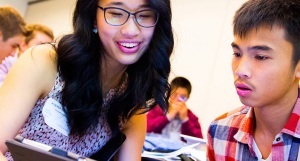 TEALS offers a unique opportunity for technology professionals to co-teach computer science in a high school, and help establish a sustainable computer science program at the school. There’s no beating around the bush. Volunteering with TEALS requires an extraordinary commitment. Most of our high school classes meet 1st period so volunteers can teach and get in to work, which can mean teaching as early as 7:30am. Each school is different and volunteers’ experiences vary greatly. We make the commitment more flexible by assigning multiple volunteers to each school. 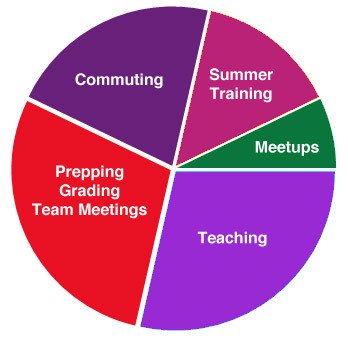 Teaching teams manage their own schedules, but we expect each team member to attend approximately 50% of class sessions, so that there is at least 1 volunteer in the classroom each day the class meets. We also run a mandatory training program for volunteers during the summer. We expect volunteers to spend 20 hours in online and in-person training sessions, plus another 20 hours working with their teaching team and preparing for the school year.